Most people are concerned as to whether or not they will have enough money in retirement – even if they are saving money along the way, they aren’t certain whether it will last as long or allow them to live as comfortably as they’d like. Many find it complex and intimidating or are unsure how to go about it. Often, they’re afraid they’ll make the wrong decisions and end up losing money. But it doesn’t have to be that uncertain; everyone should be able to create a secure retirement, or at least know where they stand as they go. Jemstep is one online asset management option that is trying to solve this problem by helping investors manage this process comprehensively online. This review breaks down who Jemstep’s platform is right for, interviewing key decision-makers at the company to explain firsthand the new take on investing Jemstep seeks to share with consumers. Jemstep is an online investment advisor that helps you lock in more money for retirement by telling you exactly what to buy and sell and when across all your accounts, including your 401k. In particular, Jemstep’s new Portfolio Manager service is an online investing service that offers highly individualized, in-depth investment analysis and advice that traditionally has only been available to high net worth investors. Some of the benefits of the service is that they help investors reduce fees and taxes, while also helping them maximize returns, minimize risk, and select top-quality investments. Like other competitors in the online wealth management space, Jemstep aims to provide the high-caliber, personalized advice that has traditionally been available only to wealthy investors. A Registered Investment Advisor with the SEC, Jemstep is led by a team of experts with over 100 years’ combined experience in financial management and technology innovation and development. Comparing options? See also NerdWallet’s review of Personal Capital and our research on other portfolio management platforms here. “Fees matter. Every dollar taken in fees is more than a dollar subtracted from your retirement savings, and those dollars taken each year add up to a significant sum of money over time. While low fees are a good start in selecting funds, other attributes also matter. Projects the amount of money the user’s current portfolio will give them to spend in retirement. Recommends a target portfolio that is optimized to give them more money in retirement and tells by how much more. Spells out an Action Plan detailing what to buy, sell, and hold to reach their target portfolio. Additionally, users stay on track because Jemstep watches for changes in their profile, portfolio, and the market and alerts them when it’s time to rebalance or change investments. Based on the research of Nobel Prize-winning economists and the experience of multi-billion-dollar institutional investment managers, Jemstep’s portfolios are designed to help people achieve higher returns than their existing portfolios, while reducing the drastic fluctuations that can occur when markets move up and down. These portfolios have been back-tested against the S&P 500 over 14 years and have delivered higher returns with less risk. In recommending what investments to sell and buy, Jemstep’s patented investment evaluation technology helps investors minimize taxes, reduce fund fees, and select top-quality investments. 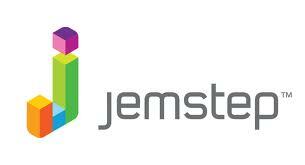 NerdWallet finds what’s most interesting and exciting about Jemstep is to be its innovative pricing model. First, a Basic Jemstep Account is always free no matter the size of your portfolio. With that you get an analysis of your current portfolio including a personalized investment strategy, optimized for your situation and goals – along with a simple way to track all your investments in one place. This is free for those with a portfolio size less than $25,000. With a Premium Account you also get Jemstep’s detailed Action Plan for building, managing, and optimizing your ideal portfolio. This includes both continuous tracking of your progress toward a secure retirement, as well as instant alerts and guidance when it’s time to rebalance or change investments. Jemstep says that a financial planner is 50 times or more the cost of using Jemstep even at the lowest level. There are a lot of growing players in the online portfolio management space – how do they differ, and who’s the best? One fundamental difference on a high level is that Jemstep is truly technology-driven and delivers a very comprehensive online solution for those wanting to take control of their retirement portfolios. Jemstep uses its patented investment technology to give people the step-by-step guidance they need to take action in an easy-to-use web interface. Jemstep says that both of its competitors Personal Capital and Wealthfront are essentially traditional brokers or wealth managers with a web front end. And like a traditional broker or wealth manager, they want you to pay them to manage your assets for you, and to use the service, you must transfer all or a portion of your assets to their brokerage. You delegate the management of the assets to them. Jemstep is more for those that want to self-manage or get a second opinion. You don’t transfer your assets to Jemstep and can maintain your existing brokerage accounts. You get the high quality guidance that lets you easily manage your own accounts, at a fraction of the price. FutureAdvisor is perhaps the closest competitor as we both offer advice and do not take assets under management. What differentiates Jemstep from FutureAdvisor is that Jemstep is far more complete of a solution and tailored to the individual. For example, they do not recognize combined assets for couples. Meanwhile, Betterment is devoted to those investors who want to delegate the management of their portfolios to someone else. They seem well suited to a newbie investor who has some cash they can transfer to the service. They don’t seem well suited for someone who has existing investments and accounts – that investor would need to sell all their assets and transfer the cash to betterment, resulting in very adverse tax consequences for the investor. More than 10,000 people are using Jemstep services and managing portfolios totaling more than $2 billion in assets. Among them, nearly 20 percent of those who have received a personalized action plan have already improved their retirement outcome by implementing one or more of the buy or sell recommendations. The average investor who follows Jemstep’s advice is projected to have an additional $290,000 to spend in retirement. NerdWallet thinks that yes, Jemstep is definitely helping investors get on the best track for a comfortable retirement. Want to sign up for Jemstep, or simply learn more about their product? Check out their site.